Fully refundable up to 24 hours prior to 3pm on day of arrival. 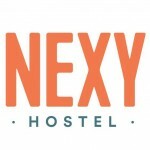 Cancellations must be made via email to bookings@nexyhostels.com. In cases of no-shows and cancellations less than 24 hours before check-in, you will be charged in full for your first night’s stay and the rest of your booking will be cancelled. We require a $5/VND100,000 or your Passport as a deposit for each key card, locker key and towel. Full payment is to be made on arrival. Cash (USD and VND) and credit and debit card (Visa/MasterCard) are accepted with a 2 percent surcharge. American Express is accepted with a 3 per cent surcharge. Guests are required to conduct themselves and ensure that their guests conduct themselves in a reasonable and responsible manner at the hostel and must not act in any way which may disturb other guests. Nexy Hostel practices a strict NO SMOKING policy in all Hostel premises ("Non Smoking Policy"). Smoking is prohibited in any part of the Hostel premises. Failure to comply with this policy shall entitle us to terminate your booking and stay at the Hostel at our sole discretion and you must leave the Hostel immediately without compensation or reimbursement. You shall be liable for any costs, loss or damage to the Hostel room, premises or property, or incurred by Hostel guests or third party, arising from your failure to comply with this policy and Nexy Hostel reserves the right to charge you for any such costs, loss or damaged incurred by Nexy Hostels or any Hostel guests or third party. Nexy Hostel is entitled to charge a fee of USD100 to any guest who violates the Non Smoking Policy. Guests may only use the bed and locker with their number. Created for a new generation of travelers. 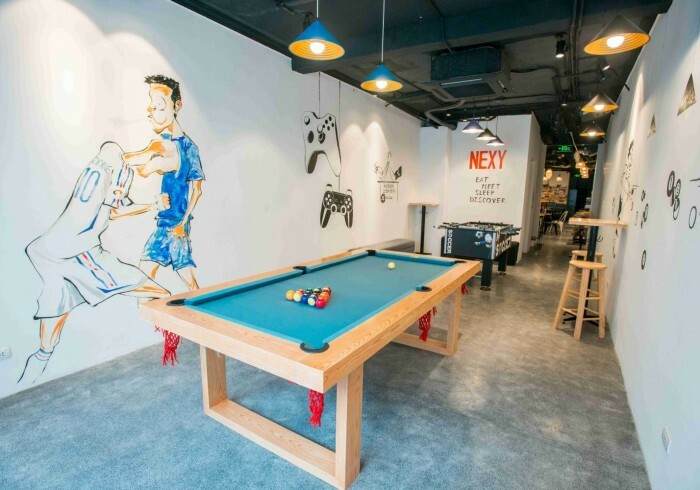 Nexy is Hanoi’s first Luxury Hostel designed for global millennial travelers who are cost-conscious but style-seeking and love to be sociable. Our emphasis is on affordable luxury and the social experience. With comfortable beds, fast and free Wi-Fi, an events programme to keep guests entertained and interior design that rival boutique hotels, Nexy is more than just a hostel, it is an experience.